We have been busy gettin the kitchen cabinets ready to go in. I am pinting them. Yes, the color is going to be the same Devon Cream that the rest of the trim is done in. The goal now is to get these cabinets ready and them have Nathan come in on Tuesday and help get them up on the wall. Nate came out last weekend to help Ed set the long upper cabinets on the Norh and South walls. 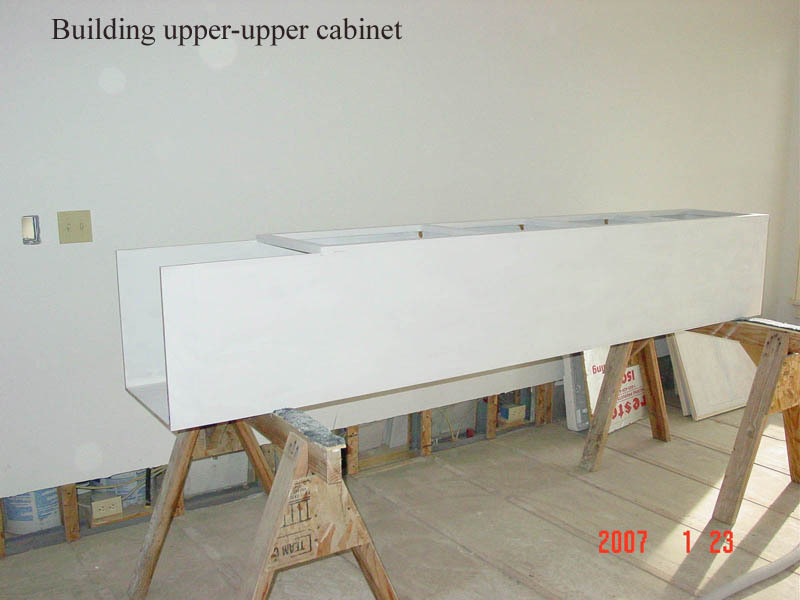 The cabinet on the north wall has already been painted. 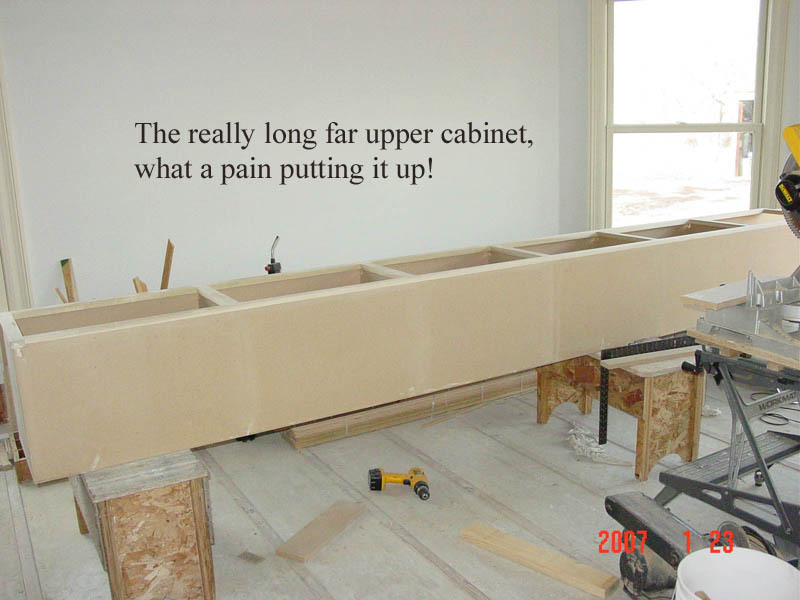 Next week I will be trying to get the south cabinets completed. 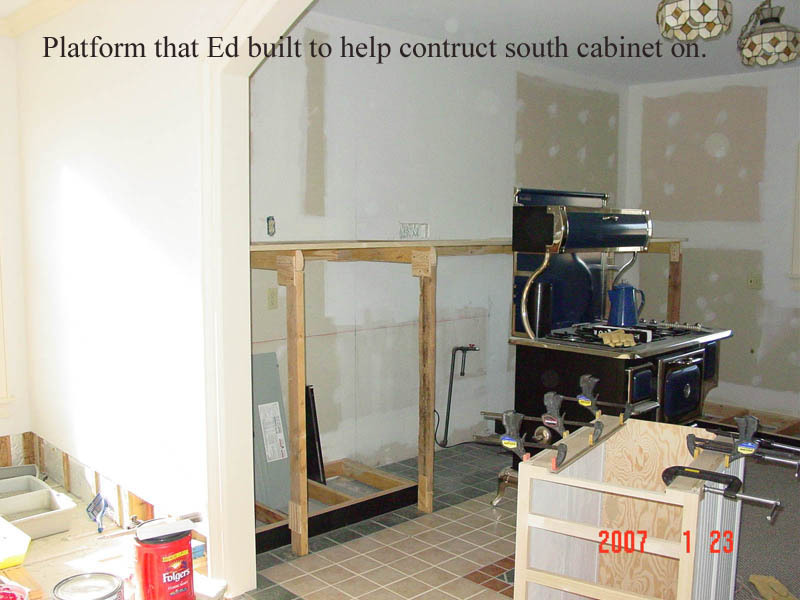 Ed will be working on the lower cabinets now. Once we get this room done it will be on to another room and another project.